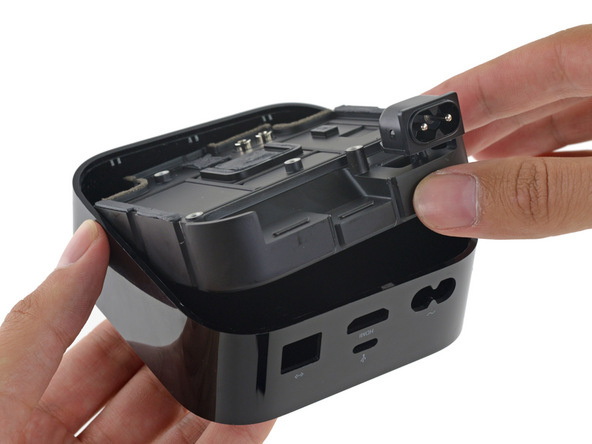 As usual, our friends over at iFixit have started the teardown process for Apple’s new lineup of products introduced earlier this month and it’s kicking things off with the new 4th generation Apple TV hardware. While the new Apple TV, which introduces upgraded hardware alongside a newly revamped software platform dubbed “tvOS”, doesn’t officially go on sale until sometime next month, Apple has already started sending out units to developers interested in building apps for the device ahead of its launch. The improved Apple TV stands in seeming defiance of Apple’s obsession with making things thinner and lighter. With a beefier heatsink and power supply to support the dual-core A8 SoC, it stands a half-inch taller and more than 50% heavier than its predecessor. Repairs to the new Apple TV won’t be particularly easy, however, as iFixit notes “almost everything important on the Apple TV is soldered to the logic board, which means replacement or board-level soldering is required to solve port problems.” On the other hand, the battery and Lightning cable on the new remote will be easy to replace, according to iFixit’s findings. But in general iFixit gave the device a high repairability score of 8/10, meaning in their opinion Apple has made a commendable effort to make repairs possible. Check out our full video walkthrough of the new AppleTV hardware and software here.